Judith Rosenbaum Grunfeld (1902-1998) was born in Budapest, Hungary, but moved with her family to Frankfurt, Germany, in 1904. 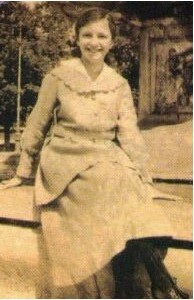 She attended the Samson Raphael Hirsch Realschule, where she later also taught for a short period; she was also an active member of Ezra, the (co-educational) Orthodox youth movement. Rosenbaum studied psychology, philosophy and science at Frankfurt University, eventually obtaining both a doctorate in science and a teaching diploma. 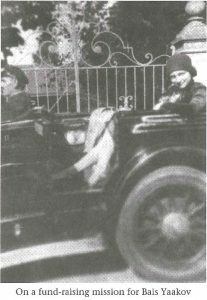 In 1925, she was persuaded by Rabbi Jacob Rosenheim (1870-1965) of Agudath Israel, a family friend and Agudah leader, to abandon her plan of moving to Palestine and to start teaching in Poland instead, joining forces with Sarah Schenirer that summer in the village of Robów, in the first of the summer professionalization programs instituted by Keren Hatorah under the leadership of Dr. Leo Deutschländer. From 1924 to 1932 Judith worked as a beloved (and young) teacher and administrator alongside Schenirer, first in the summer teacher training programs and later in Kraków, serving also as a publicist and fundraiser for the movement in Central and Western Europe. In 1932 Rosenbaum married the attorney and rabbinical judge (Dayan) Isidor Grunfeld (1900–1975) in Germany. In 1934 they emigrated to London, where Rosenbaum-Grunfeld soon became the headmistress of the Jewish Secondary School (renamed after the war the Avigdor school, after its founder, Rabbi Avigdor [Victor] Schonfeld). She led the school during the war years, when it was evacuated to the town of Shefford, Bedfordshire. She retired in 1955 to care for her ailing husband, but continued to teach and speak publicly to Jewish audiences in Britain, North America, and Israel. She died in London in 1998, and is buried in Jerusalem.